UPDATE: In the last 8 hours (1-9am Los Angeles time), this tiny blog has gotten over 800 hits. Unheard of for the blog, thrilling for the blogger. Save a few exceptions, they are all coming from Facebook, and from all over the world. I'm unable to see who it was that posted the link on Facebook (clearly someone with a lot of friends! ), and am dying to know! Can someone post a comment or email me and let me know?! So, so curious!!! UPDATE 2: A kind anonymous commenter clued me in. David Lebovitz, who writes beautifully and hilariously about his delicious life as an ex-pat in Paris, linked to this post on his Facebook page. Clearly Mr. Lebovitz is an influental man around these circles. I am incredibly stoked. 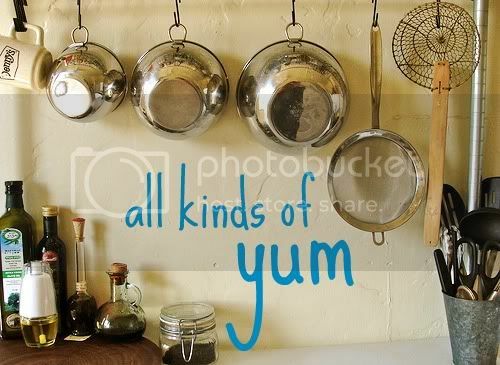 Thanks for the post, and best of luck on the kitchen remodel! And to those of you who are stopping by for the first time, welcome! Wish I could pour each of you a cup of tea! When I talk to adults who grew up in Iran, the memory of warm bread, fresh from the noonva, or baker, always comes up. It's one of those little luxuries that supermarket culture has thrown to the wayside here in the states, but in Iran, bread is still taken quite seriously. There are just certain ways with Persian bread -- tearing off pieces of the thin lavash that's laid underneath skewers of kabob right off the grill, yellow with saffron and saturated with the rich, seasoned juices from the meat; or splitting open a piece of warm, sesame-specked barbari, spreading it with sarshir, Persian clotted cream, and a spoonful of homemade strawberry preserves -- that you simply aren't going to achieve with your old Wonder bread. There's also rich and slightly sweet shirmal, taftoon, lightly spiced with saffron, and sangak, with its yummy bits of char and sprinkling of nigella seeds. Anissa Helou, a food writer I was first introduced to via her beautiful Mediterranean Street Food cookbook years ago, has a great blog that exposes little bits of the world of Middle Eastern food that we'd probably never be privy to without her. (She also features a Belly Dancer of the Month, so obviously, she has my heart.) Today's post tells us about a story she's written for the March issue of Saveur on Iranian food (you can bet I'll be picking this up), and she included a couple videos of Iranian bakers in action. It's worth checking out: I love how fluidly and rhythmically the three men in the top clip move through each other's space, just like interconnected cogs in a machine. Thanks to mohammadali and kamshots for the photos. Flat breads are one of the oldest known prepared foods. Over the centuries, making bread became an art. The word bread in Farsi is Naan. 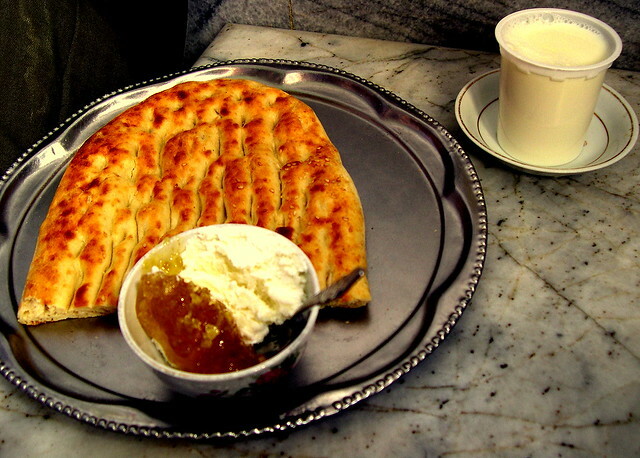 If you the names Naan-e Sangak or Naan-e Barbari, it means Sangak Bread or Barbari Bread. very nice and simple sir. hats off to you for making the details so simple that even a child can understand.